Usually does not effect outcome. 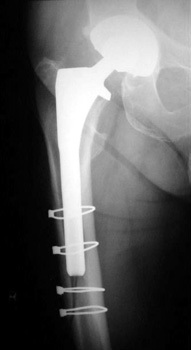 Intraoperative fracture of the proximal femur. 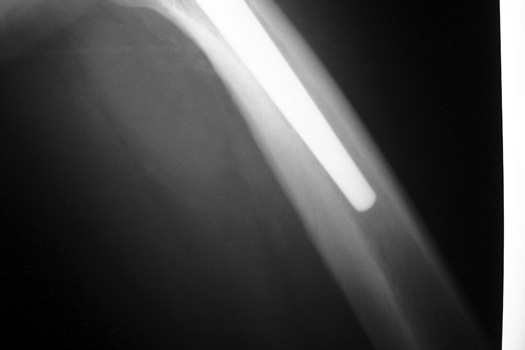 Intraoperative fracture of the femur at the tip of the femoral stem. 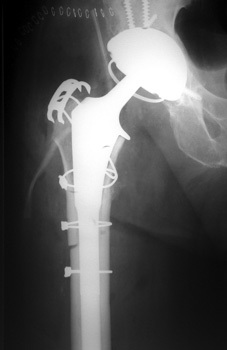 Femoral shaft fracture fixed with cerclage cables. 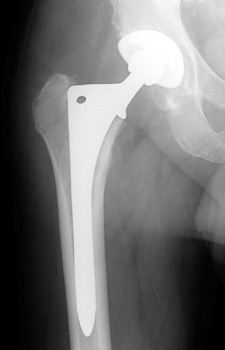 Control perforation lateral femoral cortex, reduced by cerclage cables. 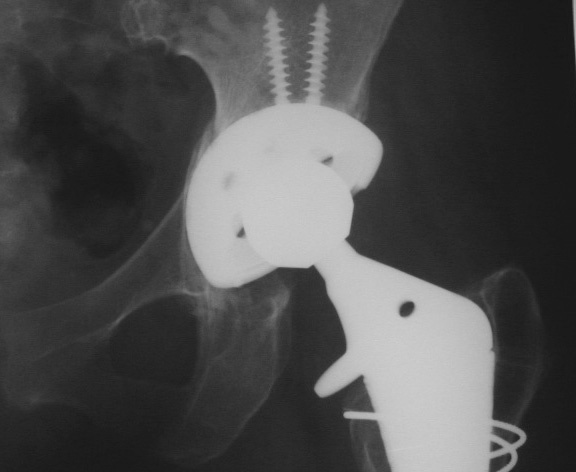 A control perforation of the lateral femoral cortex was performed in this revision total hip replacement to facilitate removal of the old femoral prosthesis. 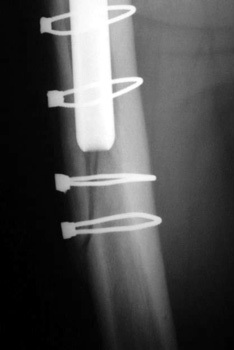 It is reduced by cerclage cables. 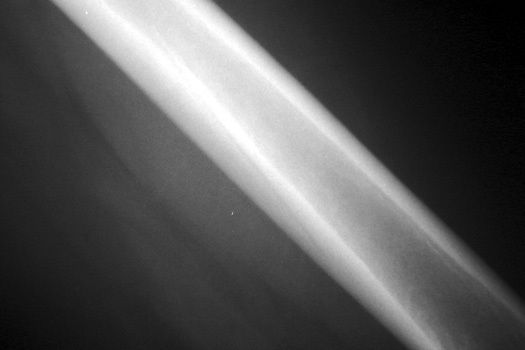 Vascular channel. 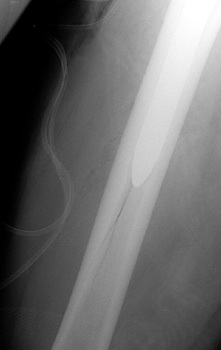 Linear lucency seen on pre and post operative frog views is vascular channel. 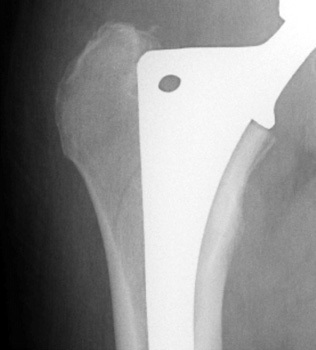 These are seen best on the frog leg view, entering the femoral cortex distally and traveling proximally toward the hip into the marrow space.